The only female swordfish boat captain in the country and a survivor of the real Perfect Storm, Linda Greenlaw was not a woman to shy away from a challenge. Then came fifteen-year-old Mariah the greatest force of nature Greenlaw has ever encountered. 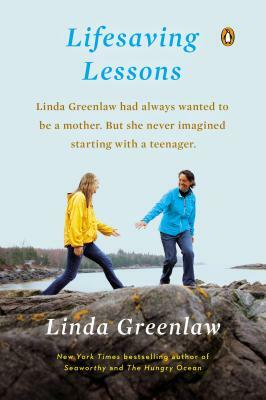 In this chronicle of becoming a mother to a troubled teenage girl, Greenlaw's fans will be delighted by her trademark candor and down-to-earth style of storytelling, and will see a side of her that's never been revealed before. New readers, and any parent of a teenage daughter, will find much to empathize with in this brave and heartfelt new memoir. Linda Greenlaw, America s only female swordfish boat captain, was featured in the book and film "The Perfect Storm." She has written three "New York Times" bestselling nonfiction books about life as a commercial fisherman as well as a cookbook and two mysteries. She lives on Isle au Haut, off the coast of Maine. "